As a schoolboy, Charles Dickens took a copy of The Terrific Register every week, and he later recalled how it 'frightened my very wits out of my head, for the small charge of a penny weekly.' This selection contains all the finest ghost stories from this 185-year-old publication. With countless reports of apparitions and premonitions of all kinds, extraordinary instances of second sight, and visitations from spirits predicting fortunes, deaths and dreadful disasters, it will chill all but the sturdiest of hearts. Many of these tales have not appeared in print since Charles Dickens himself read them. 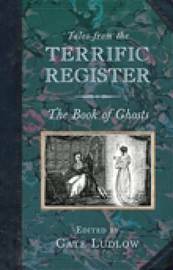 Richly illustrated with original woodcuts, it will delight all lovers of a good ghost story.